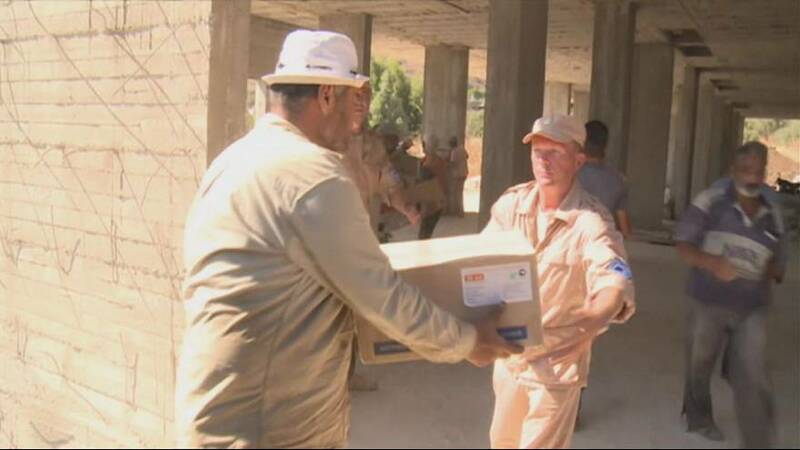 The United Nations has said it will resume aid operations to Syria by sending trucks to a besieged district near Damascus. Its deliveries were halted on Monday after one of its convoys was attacked, killing 20 staff. While the US has blamed Russian fighter jets for that strike, the UN confirmed it hopes to also begin sending aid to Aleppo and other parts of Syria in the near future. Meanwhile, rebel held areas in the cities of Aleppo and Homs are said to have suffered further intense airstrikes. More than 50 people were reportedly killed in Aleppo. The fresh attacks are further evidence that last week’s ceasefire, brokered by Washington and Moscow, hangs by a thread. While US and Russian diplomats in New York have set a Friday deadline to try to resurrect that truce, earlier on Thursday Syrian rebels and their families began evacuating their last stronghold in Homs.